Yesterday David Willetts, the UK Science and Universities Minister gave a speech to the Publishers Association that has got wide coverage. However it is worth pulling apart both the speech and the accompanying opinion piece from the Guardian because there are some interesting elements in there, and also some things have got a little confused. The first really key point is that there is nothing new here. This is basically a re-announcement of the previous position from the December Innovation Strategy on moving towards a freely accessible literature and a more public announcement of the Gateway to Research project previously mentioned in the RCUK response to the Innovation Statement. The Gateway to Research project is a joint venture of the Department of Business Innovation and Skills and Research Councils UK to provide a one stop shop for information on UK research funding as well as pointers to outputs. It will essentially draw information directly from sources that already exist (the Research Outputs System and eVal) as well as some new ones with the intention of helping the UK public and enterprise find research and researchers that is of interest to them, and see how they are funded. The new announcement was that Jimmy Wales of Wikipedia fame will be advising on the GTR portal. This is a good thing and he is well placed to provide both technical and social expertise on the provision of public facing information portals as well as providing a more radical perspective than might come out of BIS itself. While this might in part be cynically viewed as another example of bringing in celebrities to advise on policy this is a celebrity with relevant expertise and real credibility based on making similar systems work. The rest of the information that we can gather relates to government efforts in moving towards making the UK research literature accessible. Wales also gets a look in here, and will be “advising us on [..] common standards to ensure information is presented in a readily reusable form”. My reading of this is that the Minister understands the importance of interoperability and my hope is that this will mean that government is getting good advice on appropriate licensing approaches to support this. However, many have read this section of the speech as saying that GTR will act as some form of national repository for research articles. I do not believe this is the intention, and reading between the lines the comment that it will “provide direct links to actual research outputs such as data sets and publications” [my emphasis] is the key. The point of GTR is to make UK research more easily discoverable. Access is a somewhat orthogonal issue. This is better read as an expression of Willetts’ and the wider government’s agenda on transparency of public spending than as a mechanism for providing access. What else can we tell from the speech? Well the term “open access” is used several times, something that was absent from the innovation statement, but still the emphasis is on achieving “public access” in the near term with “open access” cast as the future goal as I read it. It’s not clear to me whether this is a well informed distinction. There is a somewhat muddled commentary on Green vs Gold OA but not that much more muddled than what often comes from our own community. There are also some clear statements on the challenges for all involved. As an aside I found it interesting that Willetts gave a parenthetical endorsement of usage metrics for the research literature when speaking of his own experience. As well as reading some of the articles set by my tutors, I also remember browsing through the pages of the leading journals to see which articles were well-thumbed. It helped me to spot the key ones I ought to be familiar with – a primitive version of crowd-sourcing. The web should make that kind of search behaviour far easier. This is the most sophisticated appreciation of the potential for the combination of measurement and usage data in discovery that I have seen from any politician. It needs to be set against his endorsement of rather cruder filters earlier in the speech but it nonetheless gives me a sense that there is a level of understanding within government that is greater than we often fear. Much of the rest of the speech is hedging. Options are discussed but not selected and certainly not promoted. The key message: wait for the Finch Report which will be the major guide for the route the government will take and the mechanisms that will be put in place to support it. But there are some clearer statements. There is a strong sense that Hargreave’s recommendations on enabling text mining should be implemented. And the logic for this is well laid out. The speech and the policy agenda is embedded in a framework of enabling innovation – making it clear what kinds of evidence and argument we will need to marshal in order to persuade. There is also a strong emphasis on data as well as an appreciation that there is much to do in this space. But the clearest statement made here is on the end goals. No-one can be left in any doubt of Willetts’ ultimate target. Full access to the outputs of research, ideally at the time of publication, in a way that enables them to be fully exploited, manipulated and modified for any purpose by any party. Indeed the vision is strongly congruent with the Berlin, Bethesda, and Budapest declarations on Open Access. There is still much to be argued about the route and and its length, but in the UK at least, the destination appears to be in little doubt. Excellent analysis. What I missed is the important fact that the minister seeks coordination on the open access subject with the EU and also other countries (US?, China?). That is he realizes that open access [to science] has to be global. 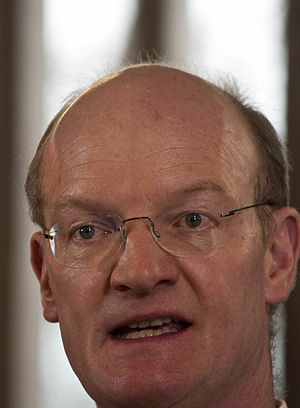 I read the Guardian article as Willetts slightly favoring Gold OA. Do you agree that he is doing so? I suppose the argument for doing so is that Gold OA provides an actual business model that publishers might be able to adapt to, whereas Green OA doesn’t do that. Of course, Green and Gold could co-exist (as could Green and the currently prevalent business model). So, what’s your opinion about the right balance for the policy to strike regarding Green and Gold OA? Very nice – certainly an encouraging speech. But it’s all politics from a Government in deep trouble which needs good publicity and Willetts certainly doesn’t hold the whip hand in this Government. Wake me up when the Bill has been passed. Agreed but most of this doesn’t require legislation. It’s executive direction stuff and giving the Research Councils guidance on implementation. I agree it could get lost, particularly after yesterday but I am still positive. That is my feeling, but I think that may be reading too much in to it. From my perspective Gold aligns better with his aims. More rapid access, quicker and wider innovation. You could read his use of the rice parable that way, but again I think that may be reading too much into it. In terms of green vs gold its an argument about two things, rate of progress and effectiveness, as well as consideration for disciplinary differences. My reading of the evidence is that funder mandates in the natural sciences tend to lead towards gold adoption and that this gets us more quickly to where we want to be (and before someone says you would say that if you’re going to work for PLoS I’d point out at its rather the other way around, I’m going there because I believe it’s the right route). For the social sciences and humanities, as well as some read of science green may be more productive and faster so we should identify those areas and support them. It’s not a simple one size fits all solution but equally regardless of mechanism the cost of dissemination has to be paid somewhere in the system. Tom, that’s a very good point. The global perspective is critical in the transition process. And the progress in Europe is indeed very positive. Awseome one. But now a days everyone playing the politics only for their sake. Had to look up the meaning of “delte” – new word for me. I agree.